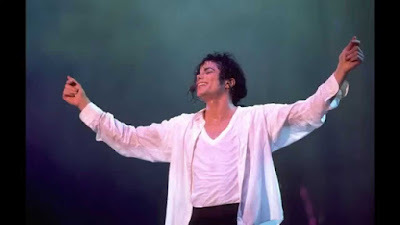 PHN Special Edition | Happy Birthday Michael: Michael Jackson- Will You Be There [VIDEO] ~ Phresh Hott New! Wow, I remember my first time hearing this song was while watching Free Willy in school. My classmates and I were watching the movie (as much as any movie can hold a 7 year olds attention) and you hear the first keys to the song begin to play. When we all first heard Michael sing, “Hold me, Like the River Jordan…” every one got quiet and just sat there staring at the TV screen. It was sort of like this magical type moment. Michael’s music always had that kind of affect though. After that I looked forward to those free days in school when they would play Free Willy just so I could hear this song, and even when they played it on the radio it was like instant silence fell on the car from me and whoever else was in the car and we would listen intently to the song. As a child I didn’t know the type of appeal this song had on the masses (in the U.S.: selling over 500,000 copies, staying in the top ten for six weeks, and being certified gold1) I just new it was a really neat song. There are so many more songs from Michael that I have amazing memories to as well, but for some reason I was compelled to write about this one today. So today Michael while thinking back to fond childhood memories that included your music I want to wish you a Happy 58th Birthday. While you may be gone from us physically, through your music you will never be far.